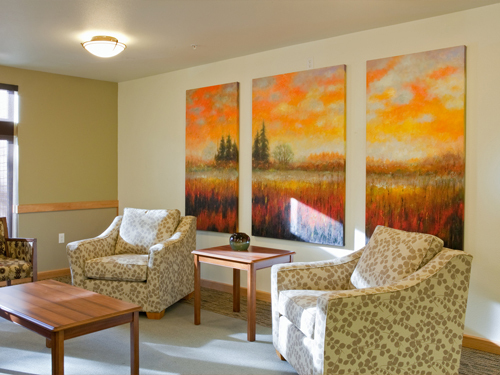 Our focus is to promote the healing nature of art in healthcare facilities. We want the best for patients and their families that need comfort through difficult times. We focus on local, original art to support working artists and give residents a feeling of home and community. We commit to easing our clients through the different phases of art selection with our expertise. We guide you during the scoping phase, assess your needs and help you make decisions to elevate your space. We like to foster great relationships with the community. We even get our hands dirty.